Barbara Bel Geddes (1978–1984, 1985–1990) as Eleanor "Miss Ellie" Ewing Farlow. The Ewing family matriarch, whose family originally owned the Southfork Ranch. Donna Reed (1984–1985) as Eleanor "Miss Ellie" Ewing Farlow. The Ewing family matriarch, whose family originally owned the Southfork Ranch. Jim Davis as John Ross "Jock" Ewing, Sr. (1978–1981) Miss Ellie's husband, founder of Ewing Oil and head of the Ewing family. Patrick Duffy as Robert "Bobby" Ewing (1978–1985, 1986–1991) Youngest son of Jock and Miss Ellie. The "good brother". Linda Gray as Sue Ellen Ewing (1978–1989, 1991) J.R.'s long-suffering alcoholic wife. Larry Hagman as John Ross "J.R." Ewing, Jr. (1978–1991 – entire run) Jock and Miss Ellie's eldest son, whose schemings became the show's trademark. Steve Kanaly as Raymond "Ray" Krebbs (1978–1988, 1991) The ranch foreman, who eventually turned out to be Jock's illegitimate son. Ken Kercheval as Clifford "Cliff" Barnes (1978–1991 – entire run) Pam's brother, whose schemes are aimed directly against the Ewings, specifically J.R.
Victoria Principal (1978–1987) as Pamela "Pam" Barnes Ewing, Bobby's wife, who is often forced to act as a buffer between the two feuding families. Margaret Michaels (briefly in 1988) as Pamela "Pam" Barnes Ewing, Bobby's wife, who is often forced to act as a buffer between the two feuding families. Charlene Tilton as Lucy Ewing Cooper (1978–1985, 1988–1990) Saucy granddaughter of Jock and Miss Ellie, and niece of J.R. and Bobby. Susan Howard as Donna Culver Krebbs (1979–1987) Politician and widow of former Texas governor Sam Culver. Ray's first wife and mother to his daughter Margaret. Howard Keel as Clayton Farlow (1981–1991) Dignified, and sometimes hot-tempered, oil baron. Miss Ellie's second husband. Priscilla Beaulieu Presley (1983–1988) as Jenna Wade Krebbs, Bobby's first true love and the mother of his only biological child, Lucas. Ray's second wife. Morgan Fairchild (briefly in 1978), as Jenna Wade Krebbs, Bobby's first true love and the mother of his only biological child, Lucas. Ray's second wife. Dack Rambo as Jack Ewing (1985–1987) A wandering cousin, son of Jock's brother Jason. Sheree J. Wilson as April Stevens Ewing (1986–1991) Jack's ex-wife, who eventually marries Bobby. George Kennedy as Carter McKay (1988–1991) SouthFork neighbor; a wealthy rancher who becomes head of rivaling WestStar Oil. Cathy Podewell as Calpurnia "Cally" Harper Ewing (1988–1991) J.R.'s young, naïve, second wife. Kimberly Foster as Michelle Stevens (1989–1991) April's devious sister, who marries J.R.'s eldest son James and then Cliff Barnes. Sasha Mitchell as James Beaumont (1989–1991) J.R.'s illegitimate son with old flame Vanessa Beaumont. Lesley-Anne Down as Stephanie Rogers (1990) PR woman who plots to make Cliff a powerful political figure. Barbara Stock as Elizabeth "Liz" Adams (1990–1991) Cliff's fiancée during the final season. 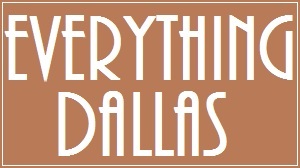 Josh Henderson as John Ross Ewing III, the son of J.R. and Sue Ellen Ewing. Ambitious and anxious to prove himself worthy of being his father's son, he is determined to start drilling for oil at SouthFork. Jesse Metcalfe as Christopher Ewing, the adopted son of Bobby and Pam Ewing and the biological son of Sue Ellen's deceased sister Kristin Shepard. 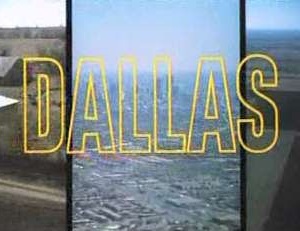 In the pilot, after spending years in Asia researching alternative energies, Christopher returns to the Ewing family ranch, SouthFork, to get married,. Jordana Brewster as Elena Ramos, the daughter of the Ewing family cook, ex-fiancée of Christopher Ewing and the current business partner and life long romantic interest of John Ross. With a masters degree in energy resources, Elena has the education John Ross lacks. Julie Gonzalo as Rebecca Sutter Ewing, Christopher's wife since their wedding in the pilot episode. An orphan since the age of twelve, Rebecca's only family while growing up was her brother Tommy, who also helped her getting through law school. Brenda Strong as Ann Ryland Ewing, Bobby's third wife, and an old friend of Sue Ellen. Ann is a true Texas girl and the current matriarch of SouthFork. Patrick Duffy as Bobby Ewing, the father of Christopher, and youngest son to Jock and Miss Ellie Ewing. A family man at heart and the current owner of the SouthFork Ranch, Bobby is determined to keep the promise he made to his now deceased mother: never to allow oil drills on SouthFork soil. Linda Gray as Sue Ellen Ewing, the mother of John Ross, and J.R.'s ex-wife. Since leaving J.R., Sue Ellen has grown confident and influential, and is currently in the talks to run for governor of Texas. She still harbors feelings of guilt for neglecting her son while he was growing up. Larry Hagman as J. R. Ewing, Bobby's older brother and the father of John Ross. Once the head of the Ewing family, and of the family company Ewing Oil, J.R. has spent the last years at a nursing home treated for clinical depression. Now back in business, he will stop at nothing to get back into power.